The cause of monarchy in modern Africa has been a difficult one. In most of sub-Saharan Africa the tribal system of government persisted throughout the colonial period and still persists today under the surface of most regimes. Today, the only sovereign monarchies which exist in Africa are the Kingdom of Morocco and the small kingdoms of Lesotho and Swaziland which are, essentially, dependencies of South Africa. 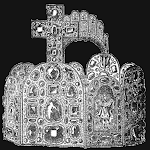 Previously, the only major Black African sovereign monarchy was the Empire of Ethiopia, restored by the British colonial and imperial armed forces during World War II and which was brought down by a communist coup in 1974. Many people in the African Diaspora (not quite so many in Africa itself) had looked to Ethiopia as the example they should aspire to. The same would not be said for the new imperial monarchy which sprang up thanks to one Jean-Bedel Bokassa of the Central African Republic which to many, then as now, strike most as farcical at best. Jean-Bedel Bokassa was born in Ubangi-Shari in what was then French Equatorial Africa on February 22, 1921. Orphaned at a young age, he was educated in Catholic missionary schools, part of what the French proudly termed their ‘mission to civilize’ the primitive parts of the world. The young Bokassa proved himself to be not without ability, joining the French colonial army in 1939 as a private soldier. During World War II, he fought to secure the colony for the Free French forces from those of the Vichy regime and later fought on other fronts, including in southern France itself before the ultimate defeat of Nazi Germany. He remained in the army, deciding to make that his career when a new conflict soon arose with the outbreak of war against the communist revolutionaries of French Indochina. 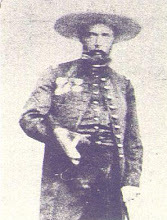 Unlike America later, France never sent French conscripts to Vietnam and so relied heavily on native troops, the Foreign Legion and colonial soldiers from other parts of the French empire. 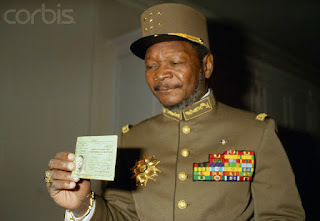 Bokassa earned the Legion of Honor and the Cross of War before the French withdrawal from Vietnam, the young African private had become an officer and risen to the rank of captain. He had also married a Vietnamese girl and had a child before his tour ended but he abandoned them both. Were they still around when the North Vietnamese concluded the war, their fate could not have been a happy one. 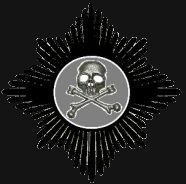 The idea that such service was evidence of any great loyalty to the French colonial empire was, however, a false one and in Africa, as in Indochina, the movement gained strength for the independence of the French African colonies and the dissolution of the French colonial empire. In 1960 Ubangi-Shari was granted independence from France as the Central African Republic, led by President David Dacko, a distant cousin of Bokassa. Like most who would come to power in post-colonial Africa, Bokassa was the son of a tribal chief and had aspirations for leadership which did not include playing subordinate to his distant relative. President Dacko gave Bokassa, no doubt because of his military record with the French as a company officer, command of the armed forces of the new republic. Granted those armed forces amounted to only 500 men but it was something Bokassa took very seriously and it was totally in keeping with local custom in post-colonial Africa for new national leaders to stock the government with their relatives. Soon, because of his obvious ambition, people in the Dacko administration began to fear Bokassa. Most, however, dismissed him as a vain and silly man who was not clever enough to be a real challenge to them. Bokassa worked to expand the army and his own prominence (because of the size of the army his rank was only colonel). However, the situation in the C.A.R. worsened quickly after independence. 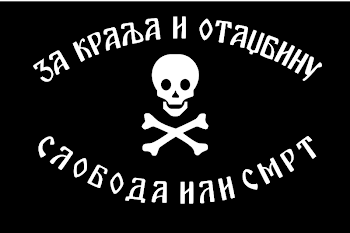 The economy stagnated and then began to decline, the bureaucracy totally broke down and foreign guerilla groups routinely violated C.A.R. territory. Dacko reached out to Communist China for help and soon communist propaganda was spreading throughout the country. The Chinese also made large loans to the Dacko government but most of this went into the pockets of government officials and the economy continued to decline. Bokassa began to make noise about stepping up to save the country from financial ruin and communist subversion and this finally caused Dacko to take notice. When Bokassa went to France for Bastille Day, Dacko refused to allow him to return until President Charles de Gaulle demanded that Dacko reinstate him, speaking of Bokassa as his “comrade in arms” from World War II. This was done but, obviously, there was no longer any trust or loyalty between the two and Dacko began taking steps to replace Bokassa and disperse his supporters. However, he was not very subtle about this and Bokassa soon saw what was going on and decided to get rid of Dacko before Dacko could get rid of him. 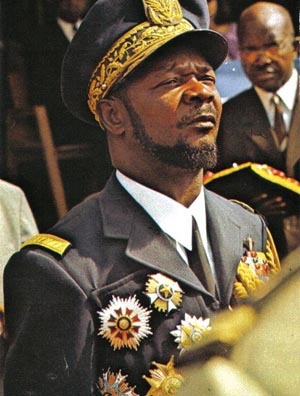 In the early hours of January 1, 1966, in what was called the Saint-Sylvestre coup d’etat, Bokassa and his chief subordinate Captain Alexandre Banza, seized control of the capital and, in due course, his forces captured and arrested President Dacko. Once in power, Bokassa promised a new era of equality for all, abolished the constitution and ruled through a Revolutionary Council. He promised that after his forces had eliminated corruption and communism, allowing the economy to stabilize, new elections would be held for a new national assembly and a new constitution. He banned opposition parties, outlawed begging and made employment mandatory. Anyone without a job could be imprisoned. However, he also banned polygamy and female circumcision, established a bus line in the capital, a ferry service on the Ubangi and used government funds to establish two national orchestras. He also broke off diplomatic relations with Communist China. In short, he did make some positive changes. The new regime was troubled by the slowness of foreign powers to recognize them, particularly the French. The economy also showed no signs of improvement and when Captain Banza pointed out that the lavish spending of Bokassa was not helping, he was immediately demoted. Banza then began planning his own coup to unseat Bokassa but his actions were reported by a loyalist and he was arrested and executed after being beaten nearly to death. This caused a degree of disgust in France but French recognition did finally come. Colonel Gaddafi in Libya lent support to Bokassa, subtly at first, and a strange sort of normalcy finally seemed to settle. 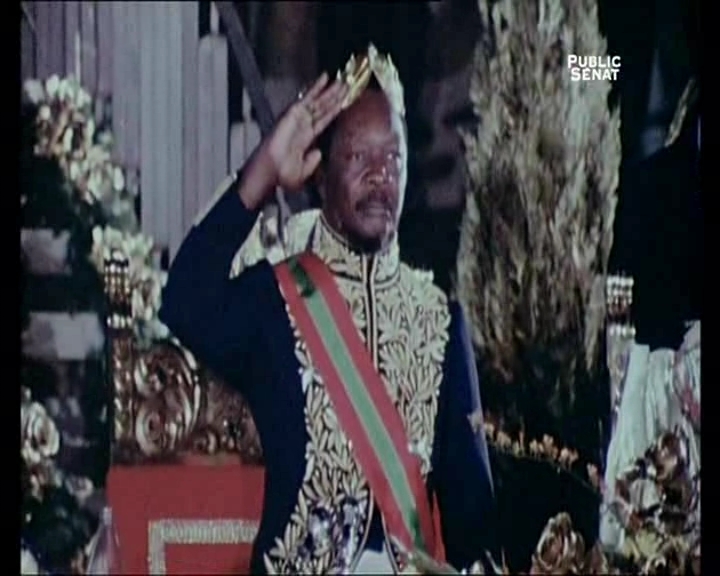 In 1972, having previously promoted himself to general, Bokassa declared himself president for life. This still was not good enough and General Bokassa was rather frustrated at the situation in his country. It was not as grand and prosperous as it should be and he felt he was not receiving the full respect of the international community that was his due. Ultimately, he seemed to believe that if he could make the C.A.R. look like a great power, it would become a great power. So, he decided to give himself another, major, promotion. 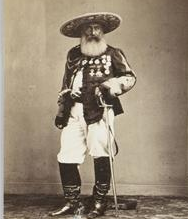 He would become a Napoleonic-style monarch and make the Central African Republic the “Central African Empire”. He envisioned an advanced, dazzling, empire in the heart of Africa that would entrance the world and inspire Africans everywhere. And he was serious. At the end of 1976, Bokassa dissolved his government, proclaimed the country the Central African Empire, issued a new constitution and, having previously converted to Islam, converted back to Catholicism. On December 4, 1977, to mark this shift, he held a lavish coronation ceremony for himself. He had designer robes and gowns, a diamond-encrusted crown and a huge throne made of gold as well as 19th Century Napoleonic style French uniforms made for his soldiers, most of which was all imported from France. The cost was a staggering $20 million, the entire French aid package for that year or one third of the entire annual budget. It was, he claimed, the will of the people that he be elevated to “Emperor Bokassa I” and also that this would gain the respect of world leaders, raise the status of his country in the international community and bring global attention to Central Africa. In that last regard, he was certainly successful as he did get the attention of many people around the world with this spectacle but almost no world leaders attended his coronation and most were convinced that the man was completely insane. 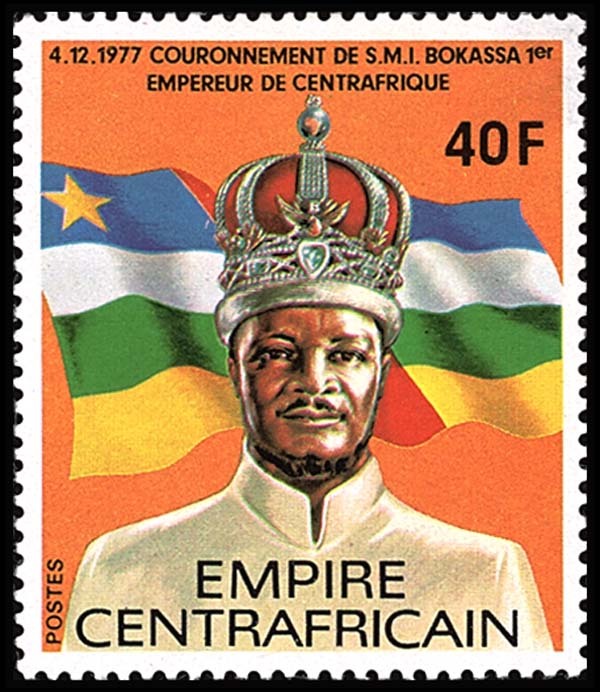 The situation in the new Central African Empire did not immediately improve with the change in style and Emperor Bokassa came under ever increasing criticism. Stories began to emerge of violent repression of dissent, torture and accusations that Emperor Bokassa practiced cannibalism. Such accusations, it must be said, were quite common at the time (and not unknown even now) for African leaders. Though, to be fair, it must also be said that this does not disprove such allegations as cannibalism was most widespread in the area of central Africa and this does tend to be where such accusations are most prevalent. 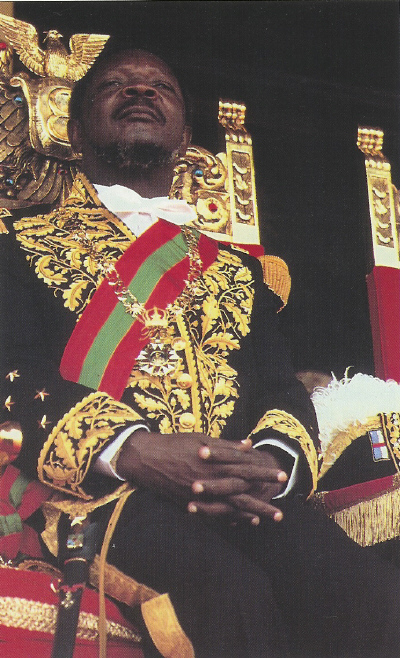 His love of titles, uniforms covered in medals and the allegations of cannibalism caused many in the western press in particular to compare Emperor Bokassa with the Ugandan dictator Idi Amin Dada who had also proclaimed himself, “Conqueror of the British Empire” and, famously, King of Scotland. In 1979 what little tolerance in the international community that Emperor Bokassa had been shown began to erode. Key elements of this were the emergence of his partnership with the notorious Libyan dictator Gaddafi and the massacre of a large number of people protesting against rising food prices and a considerable lack of food at any price in Bangui. The French, on whose assistance Central Africa continued to depend, began to waver and the French government began to wish for President Dacko to return. The “last straw” for many was the repression of a student protest in 1979. As part of his campaign to make the Central African Empire look affluent and modern, Emperor Bokassa had ordered all students to wear school uniforms with his portrait on them which were rather expensive and, some might argue, rather crass and tacky. When the students protested, about 100 were killed by government forces with Emperor Bokassa accused of severely beating several of the children himself. This episode was publicized all over the world and brought down a torrent of condemnation on Emperor Bokassa, prompting the French government to intervene in their former colony. In September of 1979 the French government dispatched the First Marine Infantry Parachute Regiment of their special forces to topple Bokassa and restore President Dacko to power. Flying in from Chad, the French had little difficulty in seizing control as the operation had been timed to coincide with Emperor Bokassa being out of the country on a visit to Libya. 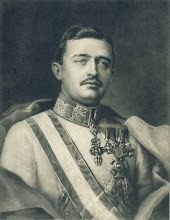 Dacko was reinstalled as President and he announced the end of the empire and restoration of the Central African Republic. Bokassa first fled to the Ivory Coast but was later granted exile in France due to his being a veteran of the French army (for which he also continued to draw a pension). He wrote a book during these years but it was banned by the French government due to allegations he made about sharing women and giving lavish gifts to President Giscard d’Estaing. Tried and sentenced to the death in absentia for repression and the murder of political rivals, Bokassa nonetheless returned to the Central African Republic in 1986. He was immediately arrested and charged with a long list of crimes including treason, murder, corruption and cannibalism. He pled not guilty and at his trial denied all charges made against him, often attributing the crimes to others in the government or denying them completely. He was finally found “not guilty” of cannibalism but “guilty” on all other counts and sentencing him to death. However, in 1988 the then-President Kolingba, commuted Bokassa’s execution and shortening his sentence to 20 years in 1989. 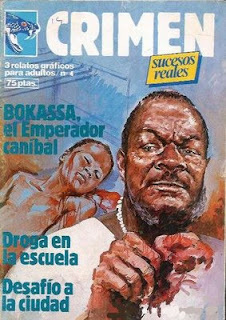 In 1993 Bokassa was released as part of a general amnesty. His remaining years were not long but just as ‘colorful’ as his time in power had been. He added to his accumulated 17 wives and estimated 50 children, proclaimed himself to be the thirteenth apostle of Jesus Christ and said that he regularly met in secret with the Pope. He died of a heart attack on November 3, 1996 at the age of 75. In 2010 he was legally rehabilitated by President Francois Bozize and praised for the stability of his years in power and his love of country. To date, no other African leader has tried to follow his example and in my experience most monarchists regard him as a despicable figure who made the institution of monarchy look ridiculous by his antics. That is probably true, however, his crimes were not that an unusual by the standards of post-colonial Africa were dictatorial leaders with big ambitions and no tolerance for opposition have been the rule rather than the exception. There were certainly others who were far worse. 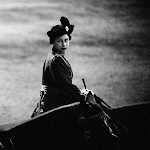 What path do you think the CAR/CAE should take in regards to monarchy? Do you think there should be some continuation of the Empire or do you have something else in mind? Unless someone comes up with a better option, I see nothing wrong with restoring it. The aspiration to be great is healthy in my view, they just obviously need to try to do better next time. I don't know enough about the tribal politics of the CAR to know if there would be a more "legitimate" basis for a national monarchy. Predictably, the Wikipedia articles softball Dacko's communist sympathies while blanketly condemning Bokassa. Modern people living in civilized countries are ill equipped to judge Bokassa or the situations he faced. Contrast this to Mao's historical treatment in the popular record. From what I've read it seems like there is much more to Bokassa's story. It is hard to find dispassionate information on Bokassa and certainly he was far from ideal but, without even going to the ultimate extreme of Mao, as I said, there were plenty of other African leaders of the time who were *far* worse than he was, even if everything he was accused of was true. Getting rid of the communists and corruption in government were good ideas at least and I see nothing wrong with trying to raise the prestige of the country. 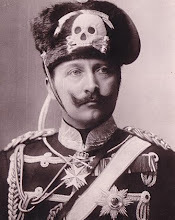 It probably would've gone over better if he had not used such a European-style in his monarchical makeover. What a coincidence. A few days ago I just watched some videos about Bokassa's coronation. I also googled some information about Bokassa and Central African Republic. I think it's rather pathetic that Bokassa wasted great opportunities and he bombed big time. 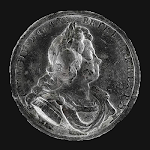 If he were successful he can be made as a model for other monarchies, that it is possible to create a new monarchy from scratch and without being born as a royalty. He was a big fan of Napoleon but unfortunately he can't separate imagination from reality, he was also a power-hungry maniac, and also other bad things that you mentioned above. Well maybe if Putin crowned himself as Tsar of Russia things will be different, considering he is a competent leader. 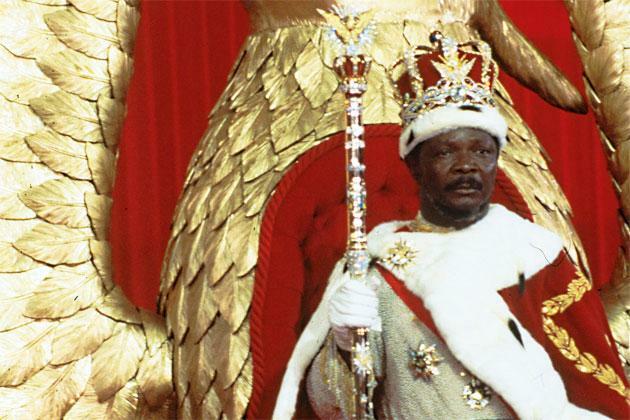 Lastly Bokassa's coronation has a very important merit. 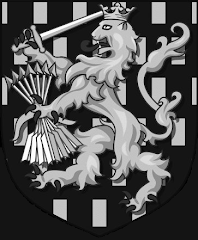 As monarchist we usually focus on supporting existing monarchies or advocating restoration. But we forget that monarchy can be created new from scratch! 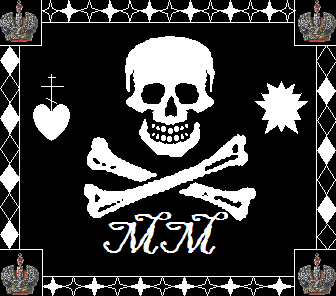 I think anyone can be a monarch and start their own dynasty if they prove themselves worthy of the position. This is fascinating! 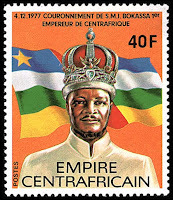 I had never heard of Bokassa I before reading this, and actually didn't think much of Central African Republic. Now though, I am fascinated by that poor undeveloped country's history. Despite Bokassa I of the C.A.E. being a total madman, I agree with his belief in inspiring his poor neighbours by building a shining monarchy; and I think the C.A.E. 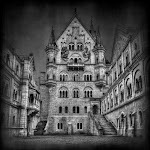 should be restored, but with someone else taking charge... not a psychopath.